Offering the highest pulse energies in its class The Wyvern™ 500 Series amplifier by KMLabs, opens the door to untold exploration and innovations in science and technology. Offering industry leading “hands-free” computer-controlled tuning of repetition rates and the highest scalable pulse energies available in the market. Make sure you answer these questions before buying any ultrafast amplifier, and future-proof your system! 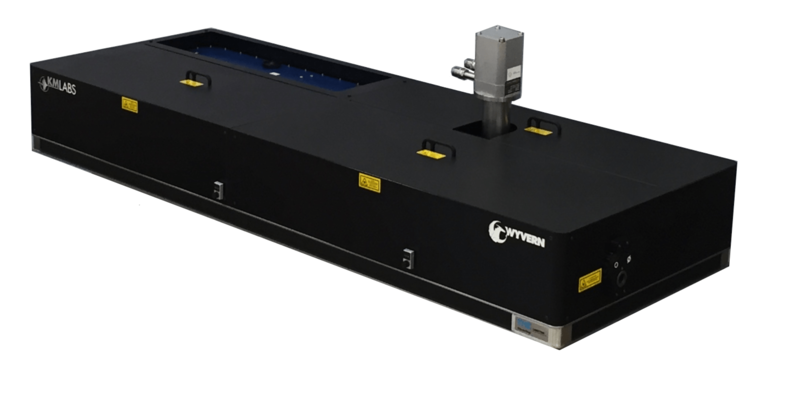 Utilizing a Single-box design, the Wyvern 500 provides up to 90uJ of pulse energy at 100kHz, exceeding its closest competitors that limit their users to less than 9uJ of pulse energy on their commercial offerings. Our patented Cryogenic technology unleashes your greatest potential- don’t settle for less.